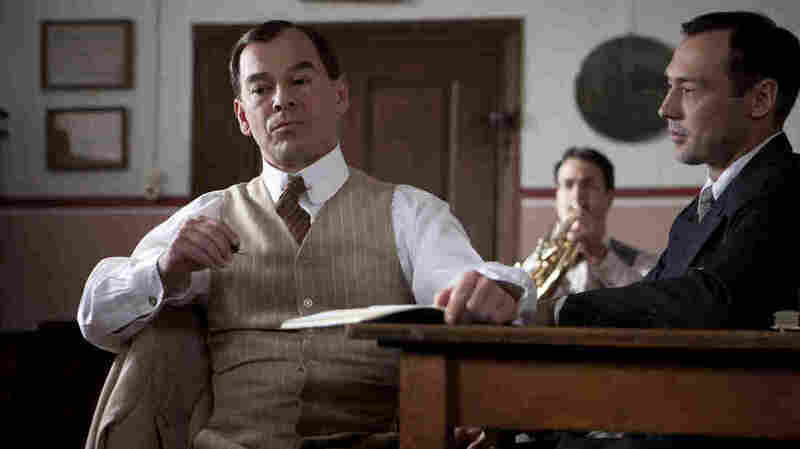 Movie Reviews - 'Orchestra of Exiles' - An 'Orchestra' Lacking Harmony Josh Aronson's exhaustive documentary Orchestra of Exiles follows a violinist in the 1930s who moved more than 1,000 Jews to Palestine to start an orchestra. However, as Mark Jenkins explains, the film favors the stodgy over the colorful, dragging the audience through an ossified history lesson. Near the end of the 19th century, an 8-year-old Polish Jewish violin prodigy moved to the capital of European classical music: Berlin. Bronislaw Huberman was more than accepted. He was hailed throughout the continent and endorsed by one of his favorite composers, Johannes Brahms. Yet Huberman is now best known for leading an exodus from Europe, a story told by Josh Aronson's documentary Orchestra of Exiles. In his early years, Huberman was utterly absorbed by music. That preoccupation was economic as well as aesthetic: He began performing at 12 and was soon supporting his family. The kid wasn't a novelty act. "He had the best right hand of anybody," says violinist Pinchas Zukerman, one of several virtuosos who appear in the movie to praise Huberman. World War I politicized the prodigy, and despite his immersion in German culture, Huberman was not one of those European Jews who considered Nazism a passing fad. When Jewish musicians were banned from teaching, studying and performing with or for non-Jews, Huberman began making plans to relocate the finest Jewish players to Palestine. He's credited with saving about 1,000 people — musicians and their families and friends, and anyone else he could get out of Germany, Austria and several other countries that soon would fall to Hitler's armies. There are ironies to this story, notably that Huberman himself didn't abandon Europe. As the menace grew, the violinist moved from Berlin to Vienna and then Switzerland. He died in that country in 1947, a year before Israel was established. Huberman was present when the Palestine Symphony Orchestra made its debut in Tel Aviv in December 1936, under guest conductor Arturo Toscanini. But he didn't perform, lest he upstage the new ensemble. Also, he may have been a little tired. Earlier that year, Huberman played 42 benefit concerts across the United States to finance the orchestra. He capped the effort with a New York fundraising dinner at which Albert Einstein was the guest of honor. Much of the money for the orchestra was raised in the U.S., a country that refused to accept Jewish refugees from Europe. Part of the lore of Huberman's 1936 tour is that his Stradivarius was stolen backstage at Carnegie Hall. Joshua Bell, who now owns the violin, appears in the movie, but doesn't actually tell the story of how he ended up with it. 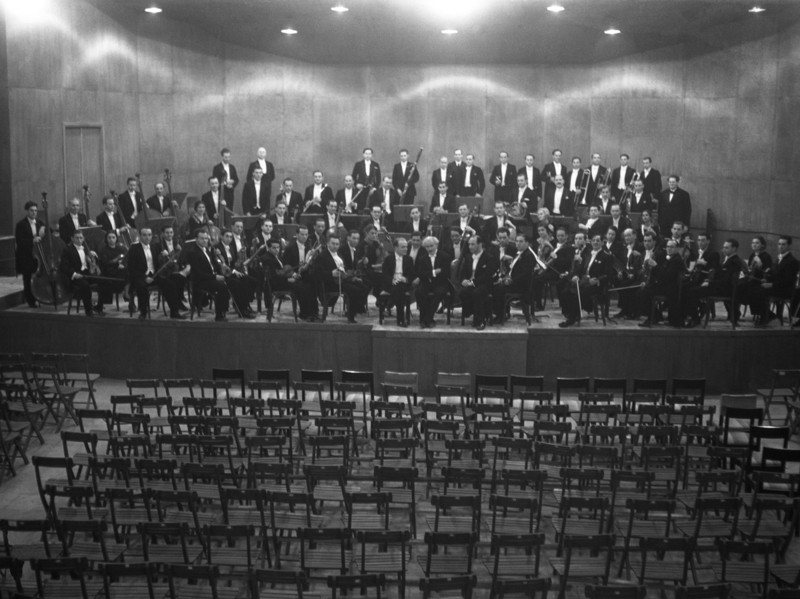 The real Palestine Symphony Orchestra, subject of Aronson's documentary. Perhaps Aronson thought the anecdote was too frivolous for his documentary. Orchestra of Exiles is very earnest, which is understandable. This is the story of a man who was essentially sentencing someone to death every time he didn't accept him (or, occasionally, her) for the new orchestra. But the film doesn't serve Huberman's story well by oversimplifying it, or by downplaying such conflicts as Zionist leader Ben-Gurion's opposition to admitting orchestra members to Palestine. (He wanted workers, not artistes.) And the color-drained reenactments of episodes from Huberman's life only exacerbate the documentary's stodginess. Orchestra of Exiles will interest anyone who's concerned with European Jewry or classical music in the first half of the 20th century. But it provides mostly the facts of Huberman's legacy and little of the flavor. Huberman's violin, by the way, was stolen by a New York nightclub musician who later used it when performing with the National Symphony Orchestra in Washington. He confessed the theft on his deathbed, which began the process that led the instrument to Bell.